I never stopped exploring beauty during the months I have not been blogging. It was during these times I gave lipsticks a little more attention as I've always been a balm-and-tint girl, too afraid of lipsticks emphasizing my already full lips. It wasn't easy looking for a shade and finish I didn't feel like tossing out after a few swipes, post-purchase. I wanted something close to my lip color and is almost sheen-free. 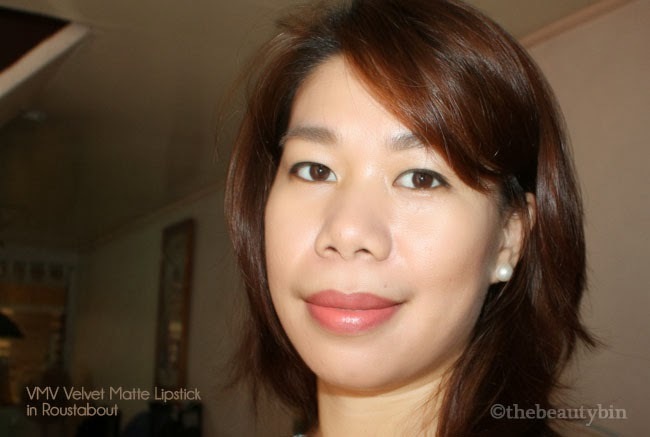 Let's talk about a lippie I've been using a lot lately-- VMV's Velvet Matte in Roustabout. You can classify Roustabout as an MLBB shade. It's brick brown on the tube and salmon on my lips. I'd say it's a notch more pink than my normal lip color and I love how it lights my face up. Roustabout is neither lip staining nor long-wearing. I notice major fading after the 3rd hour. This is a nice color but I can't say it's a good buy. The finish may be wonderfully velvet, but it's a pain to put on! With or without lip balm, there's an uncomfortable drag when I use it. Also, it takes several swipes to get an opaque coverage sans a lip conditioner. Its weak formulation and barely satisfactory wear time doesn't justify the price tag. I've tried Shiseido's version of matte and they are buttery against the lips and covers fully at first swipe. A few weeks after getting Roustabout, I learned that VMV holds a "Buy 1, Take 1" promotion for their lipsticks; had I gotten this on sale, it would've been a wiser purchase. I know I could've gotten a similar shade from a more trusted lipstick brand for the price I paid for. What I'm unsure of is if the shade is as sheen-free as this one. VMV Velvet Matte Lipstick in Roustabout is still a tube-for-keeps as it is a nice warm shade and has a quality matte finish that's most flattering for my lips! I haven't shopped at VMV since forever. I remember them being super hypo-allergenic. This lippie looks awesome on you! 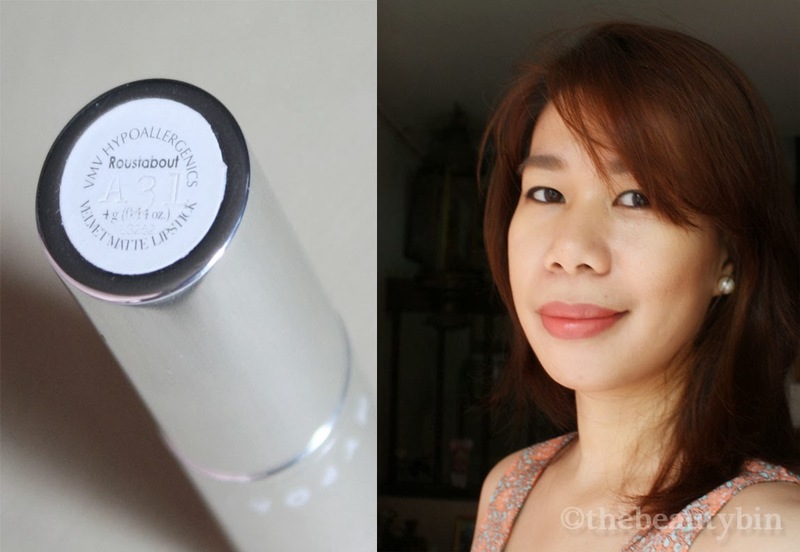 Their lipsticks have the hypoallergenic stamp too :) Thanks! 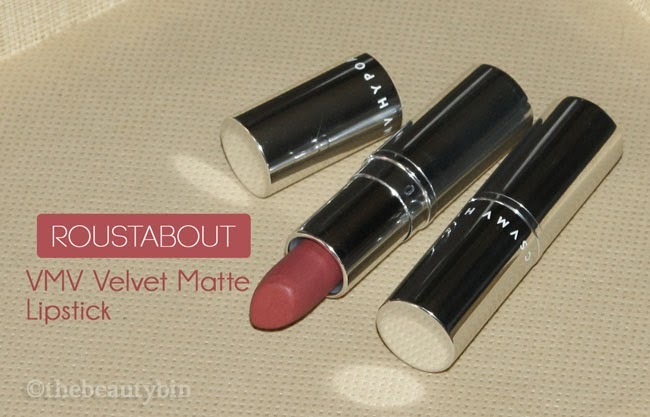 There's not enough reviews for VMV velvet matte lipsticks. I wan't to get the bright pink one. For mattes, I'm ok with MAC, they're easy to apply. 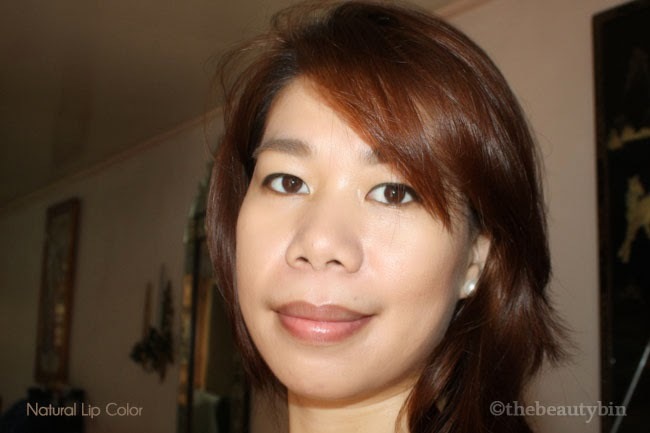 But I like the retro mattes more, as in sobrang walang sheen. It tugs a little pero ok lang, like you're putting pure pigment on your lips. It lasts as long as you don't eat. Whoa - the color looks very promising but so sad about its longevity!!! btw i hope we both have a good year of the Horse ahead! Looking forward to try this one! If you're talking about Copa, I think it's a nice shade. I should check out MAC for mattes then-- I got scared of the brand the last time I used it as I noticed it darkened the edges of my lips a little. your lips are perfect! you should wear dark lippies. sayang your lips! The color is perfect on your lips!